We are using the nations of the 2011 Rugby World Cup as our inquiry path. There will be a number of tasks for us to navigate to achieve our goal of an excellent result in this unit. There are a mixture of individual and team tasks to be completed. The main task that will show our learning in this unit will be a Hyperstudio presentation about one of the countries in the World Cup competition. 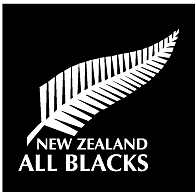 I can't wait to see my team New Zealand take it out in front of our home country. Also can't wait to see New Zealand take out everyone in there pool which is pool A.
Hi Room.19 I like the photo that you put on your blog.By Alice Nouata. 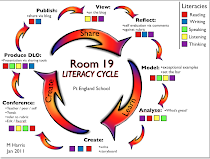 Hey Rm 19 its your cool and old mate Joe,I am writing just to see how is class going, I hope I see more fun and cool post's. Where The Heck Is Grey Lynn ? Welcome Room 3 of 2019! Pt England School. Room19 - "From The Inside" from Team 5 PES on Vimeo . Good bye books, hello NETBOOKS!